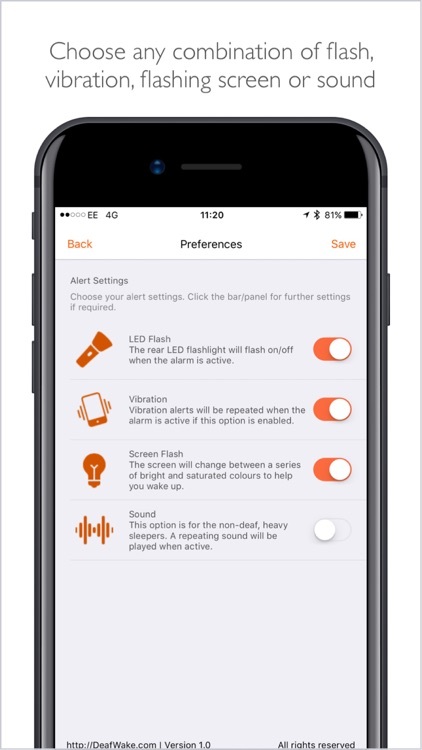 The Deaf Wake clock app offers LED, vibration, and visual-based alarms. 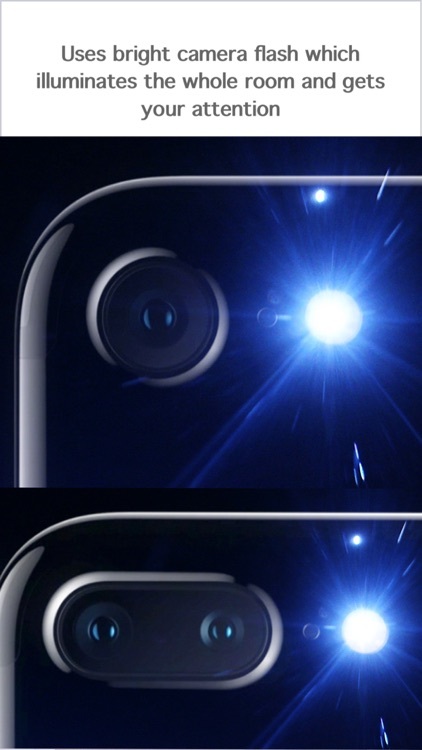 You can choose from a camera flash, flashing screen, vibration, or sound, plus you can use more than one at a time. 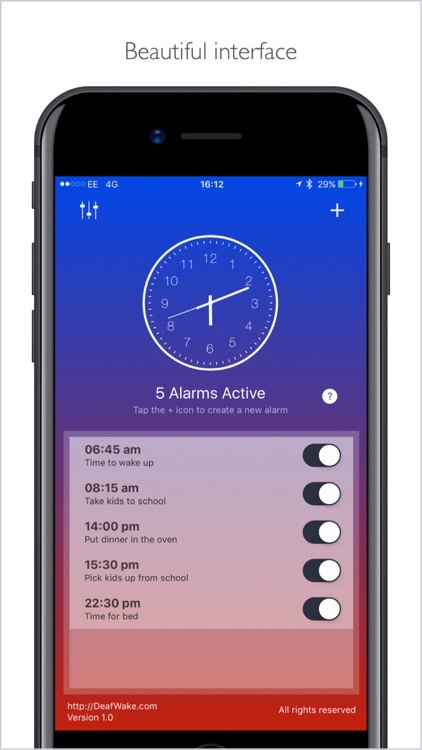 The app lets you create descriptive alarms, so you can easily use it for reminders too. You can pick from different clock faces and you can use your Apple Watch to set alarms. 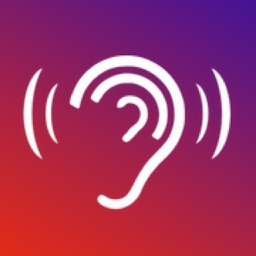 Created out of frustration from someone who knows, Deaf Wake provides various alarm types for the hearing impaired. 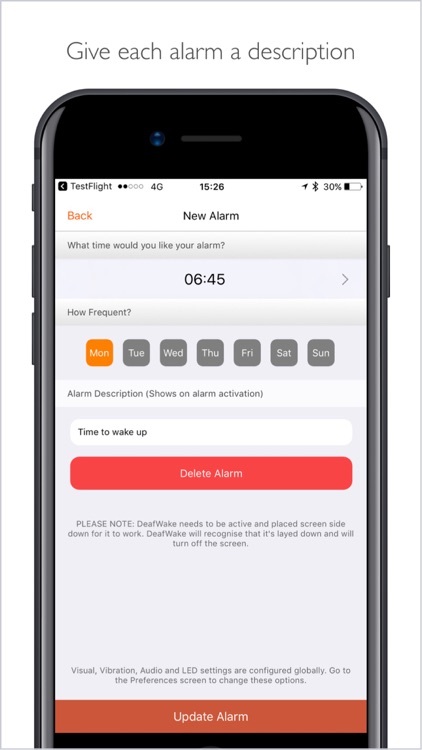 Taking the deaf world by storm and featured in the news, Deafwake was created by a deaf person and is designed to ensure everyone can get up when they’re supposed to. Removing the risk of sleeping in and being late for meetings, it allows deaf individuals or heavy sleepers to be on time, every time. 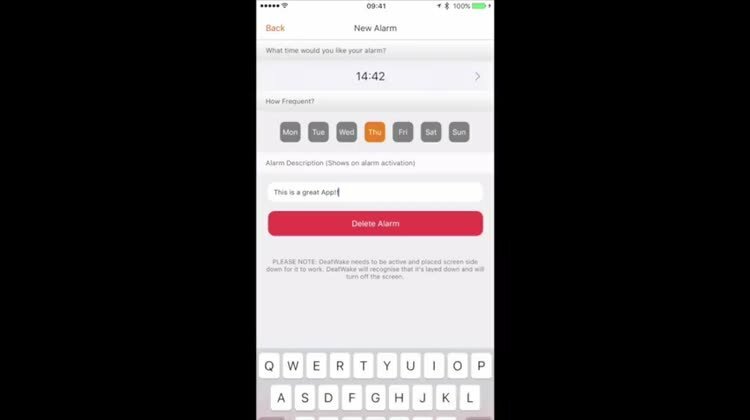 Deaf Wake, an LED / Vibration / Visual based alarm app for people who are deaf, hearing Impaired or just want a really cool alarm clock. 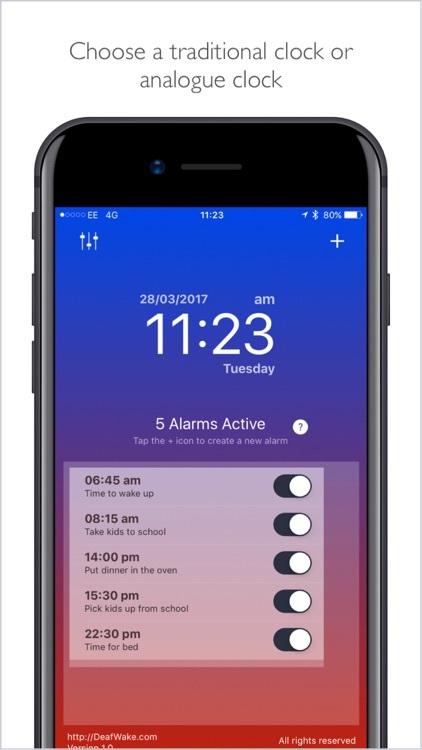 This deaf app will be your best friend as well as your worse enemy (if you don't like being woken up) It is designed to utilise all the senses of your iPhone. It has a flashing screen, it vibrates, it uses the camera flash and is loud. The app has hit all four corners of the globe, including the UK, USA, Australia, Germany, Ireland, Denmark, Canada, Norway, Switzerland, and Mexico. And with more than 1,000 downloads on the App Store, and over 500,000 Facebook users reached, the app has proven to be a huge hit with those who struggle daily with the realities of being deaf or hard of hearing. The App has an easy interface where you can select the camera flash, have a flashing screen, have it vibrate or use sound. You may select one or two or even use all the senses of your iPhone. Not all senses may be appropriate for every scenario for an example during a work meeting you may not want the phone to rudely interrupt you by sound or vibration. A discreet flashing screen telling you that your child needs to be picked up from nursery may be more appropriate. Choose the flashing screen. Just have the phone vibrate. Set the camera flash. 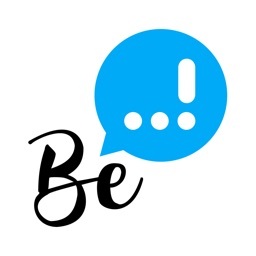 Be alerted by sound. Or have all four turned on. The App is also designed to work with the Apple Watch. You can use the Apple Watch to also set your alarms as well as other features. Choose from a selection of two clock faces. Simply swipe left or right. 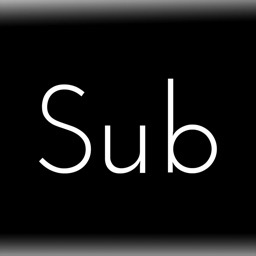 You may prefer an easier analogue clock. No longer do you have to put the phone under your pillow or in your pocket in order to (hopefully) be woken up. At night put the iPhone at the side of the bed and let it flash to wake you up (using the flashing screen and camera flash). Put the iPhone on the kitchen table whilst chopping carrots to remind you to take the roast out of the oven. Settle down, watch a movie and let the App tell you when its time to go to bed. As a long life deaf person I have been frustrated with the lack of innovation designed for deaf people in technology. One problem I have had is a suitable alarm clock or timer that appropriately notifies me. 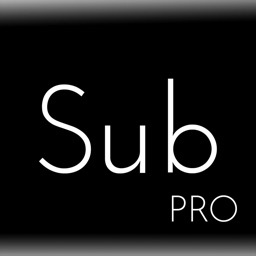 This App was born out of frustration and was initially just developed for my own personal use. 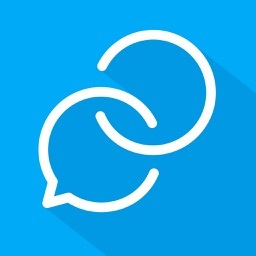 For less than a price of coffee, download this App today and be amazed! Tell your friends and family, please do be sure to leave a review on the Apple AppStore. NOTE - App must be running. Set the alarm and put the phone facedown (so screen goes black), upright or in your pocket etc. Don't turn phone off via the switch or home button as it is not possible to bypass the notification system when the iPhone is locked. 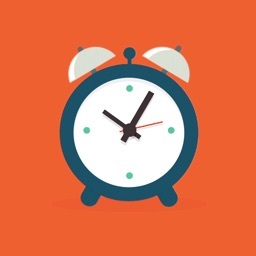 This is the same for ALL Apps and other alarm clocks. Deaf Alarm ~ Wake up!